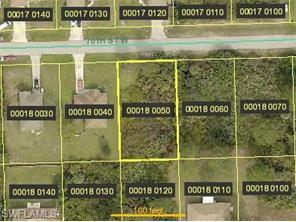 This high and dry lot sits in the best possible place for access to Fort Myers, Buckingham, Lehigh Acres, Alva and North Fort Myers. Keep your boat there for the river, camper for travel and build the home of your dreams to stay in. Houses nearby but still on a dead-end street for privacy and less traffic.